This print is from a body of work called The time of Dreaming the World Awake. It is about a landscape of possibility. The story enters on Bugarach, a ‘magic’ mountain in France. Bugarach was somehow connected to a Mayan prophecy, which indicated that the world would end on December 21st, 2012. The prophecy claimed that this date would mark the beginning of a new era for humanity, a new and sublime future. Bugarach was to be the first bastion of this modern Arcadia. Nothing happened that December. Despite this, I realised how attractive it was to believe in the possibility of an idyll, even if it only existed in my mind. Yvette is a Dublin based Photographer who holds an MFA from the University of Ulster. Yvette won both the Portfolio award at PhotoIreland and Slideluck Potshow in 2013 for her body of work The time of dreaming the world awake. The book dummy was nominated for the MACK first book award. 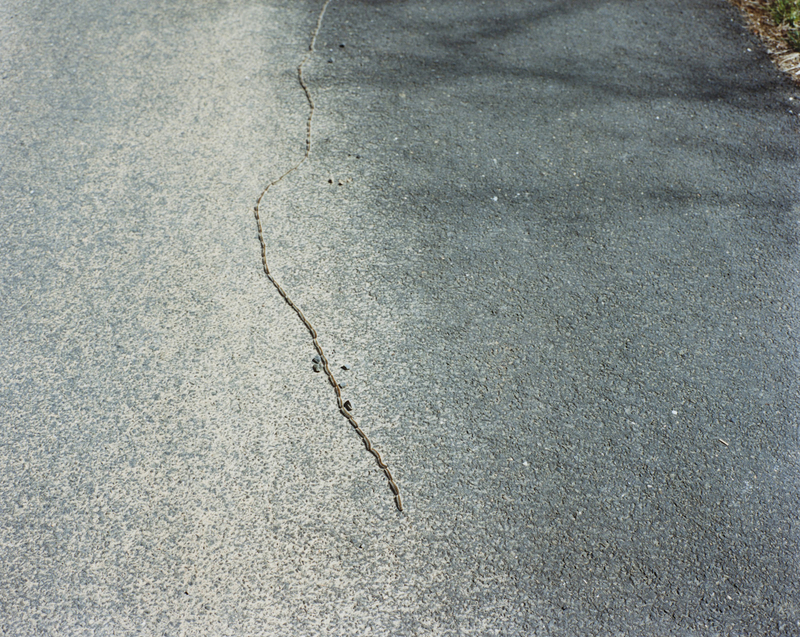 Consequently, she had a solo show at The Copper House Gallery as part of PhotoIreland 2014, which was exhibited subsequently in the UK, the USA, Finland and France. Yvette also self-published The time of dreaming the world awake as a monograph, it is currently on sale worldwide. The Gallery of Photography in Dublin nominated The time of dreaming the world awake for the 2015 Prix Pictet award. In February 2015, Yvette commenced her new project The thousand year old boy as part of the Emerging Artist Residency Award at the Burren College of Art. Although, still a work in progress, the work was chosen for both the Remote Photo Festival and the Belfast Photo Festival this summer. It has been shortlisted for the Solas Prize. Yvette works as one half of seanandyvette with her husband, Sean Breithaupt. They work independently, but come together for commissions.